Update: This poll has been closed. Thank you to everyone who participated. Your feedback is very much appreciated! It's a new year and that means new goals and taking a fresh look at the collections offered at Crystal Allure. That being said, I've posted a poll on the left, "What's Your Favorite Type of Jewelry?" to gather your opinions which will provide direction for Crystal Allure in the design process for 2009. 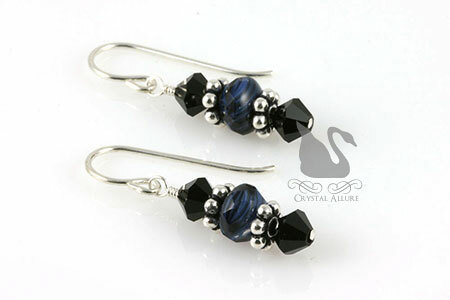 If you landed on the website or blog for Crystal Allure, it's likely because you were looking for something handmade, jewelry related or a beaded gift. As well, you likely found jewelry is a very competitive market YET -Crystal Allure jewelry stands out from the rest for its' quality, craftsmanship, colorful gemstones/beads used and its' uniqueness. 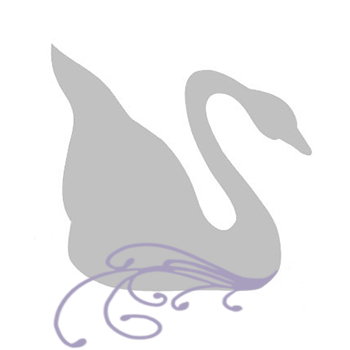 Your participation will allow Crystal Allure to remain competitive and to be sure my creative vision incorporates the pieces YOU love most (that's where you come in). It'll take literally seconds to make a quick selection as to your favorite piece of jewelry to wear. Thank you in advance for your participation. 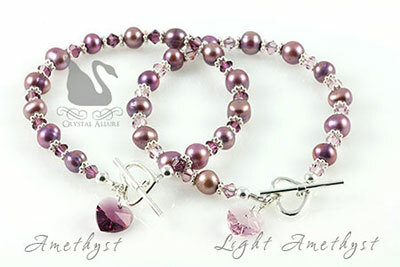 Amethyst Freshwater Pearl Heart Charm Bracelet -and Chocolate!? This may be a little late but -Happy New Year!!! I know it may have seemed like I disappeared but I had taken some much needed time off during the last few weeks of 2008. Well...that's not entirely the truth either. I did design a few more beaded jewelry pieces, fulfilled orders, etc. Even though I have a back up of jewelry to get pictures of to post...I still created more! 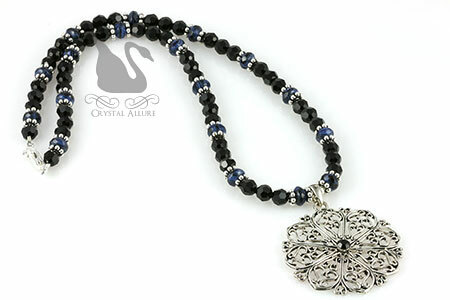 I've since posted some of these new pieces that you will find on the Crystal Allure Jewelry website. Some of the new pieces include heart jewelry and beaded jewelry perfect for Valentine's day gift giving -such as these Freshwater Pearl Crystal Heart Charm Bracelets, available in either amethyst or light amethyst. Amethyst Freshwater Pearl Crystal Heart Charm Beaded Bracelet (B137), shown on the left, is a handmade beaded bracelet featuring purple amethyst Swarovski Crystals beads and heart charm, purple freshwater pearls, .925 Bali spacers and a sterling silver heart toggle clasp. Measures 7-1/2". Wear this heart bracelet alone or stack it with the light amethyst Purple Freshwater Pearl Crystal Heart Beaded Bracelet (B138) for a lovely feminine look! There's also a few new Garnet gemstone pieces for you January birthstone ladies. And if you're looking for that after holiday deal -check out the sales -I just added more items to the sale list in the last few days. We had a great Christmas and even better, we celebrated our 7th anniversary -which is just three days before Christmas. I loved our December wedding (and being a December bride! )...although a little snow would have been nice. Yup, most brides still choose summer weddings but not me. I wanted a winter wedding. The holiday season is extra special, magical and embracing. I also SNOW! But sadly, we never got a single snowflake on our special day! 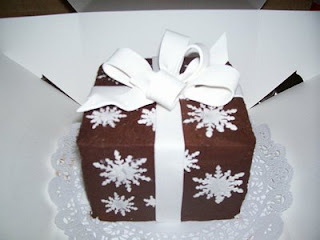 Although, on our 6th anniversary I purchased a custom made chocolate Snowflake Cake and it was delicious! Thanks Dawn (my sister-in-law) for getting a picture of it and sending it to me! Ahhh..memories..